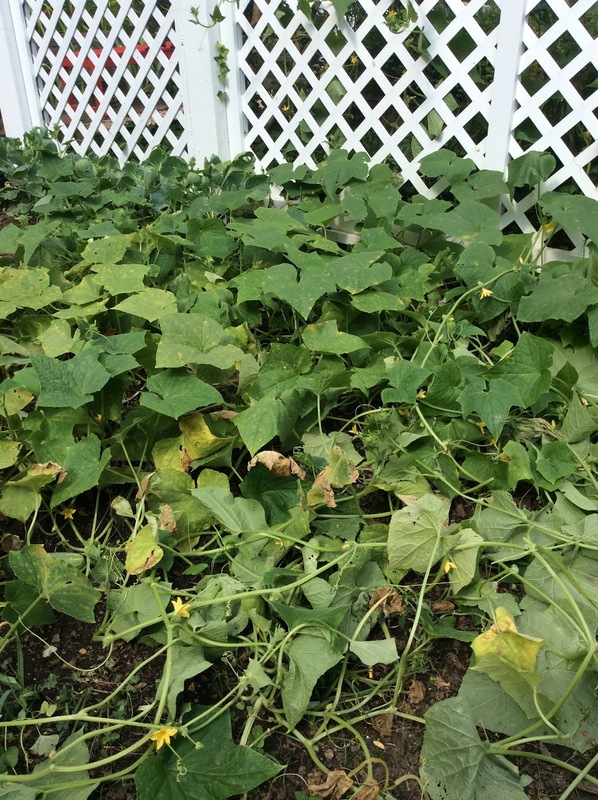 One of the great things about owning Abbington Green Bed & Breakfast Inn is getting to grow herbs and vegetables in our garden. 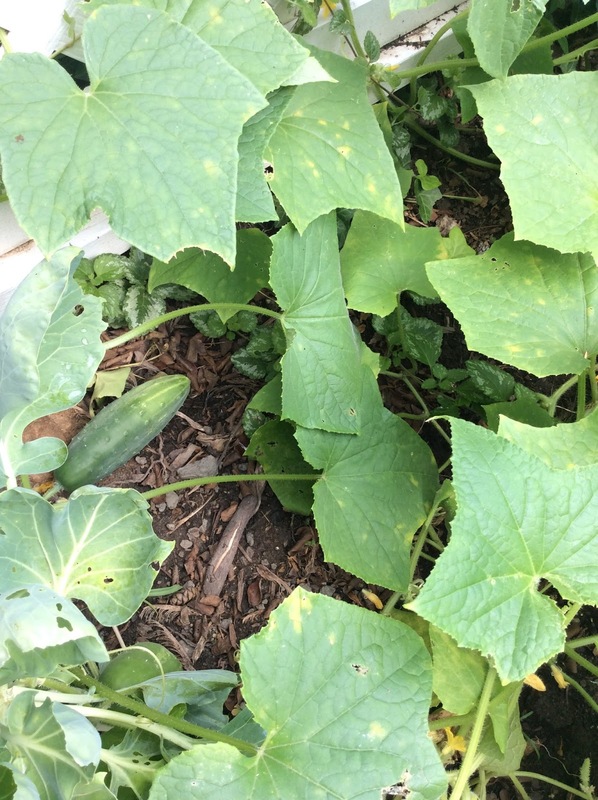 We planted cucumbers this summer and they did really well. So well, that we found ourselves with a bumper crop of cucumbers. 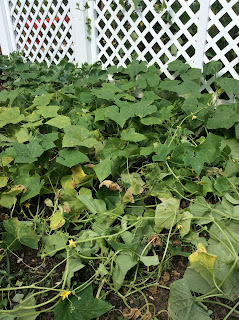 We had so many cucumbers! 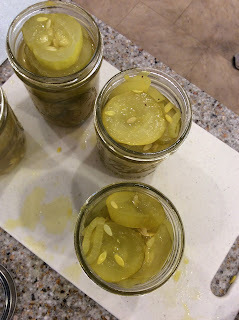 So, we decided to invite our friend Ivy over one evening to make Bread and Butter Pickles. You might remember Ivy--she's the one that makes our delicious jam that we serve at breakfast. We used a family recipe of Steve's, we like to call it Steve's Mom's Pickles. 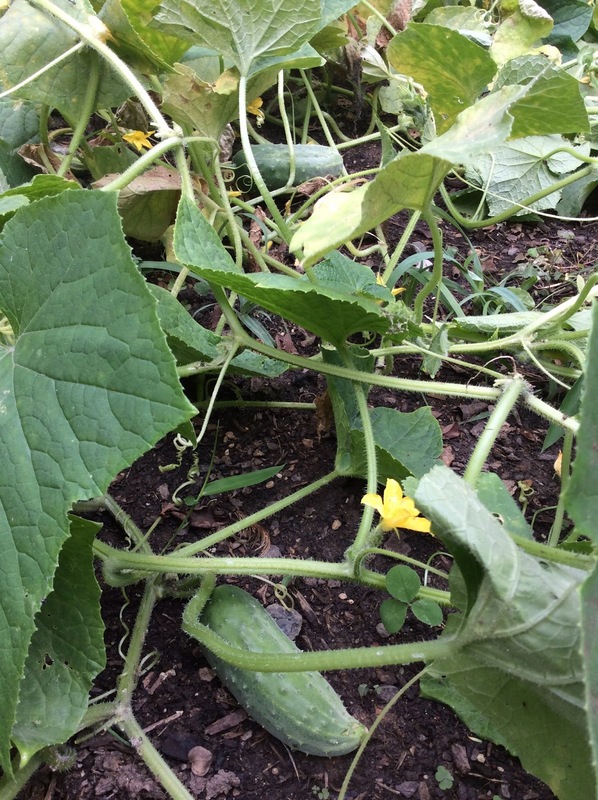 Steve's mom always had a huge garden so the family would have fresh vegetables all summer long. 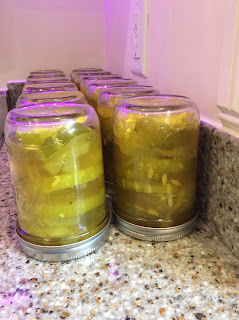 There were always so many cucumbers, so his mom started to make bread and butter pickles to have for the remainder of the year. They were always one of Steve's favorites and he was so happy that we had a lot of cucumbers too, so he was able to do the same with them that his mom did when they were growing up in Ogelsby, Il. 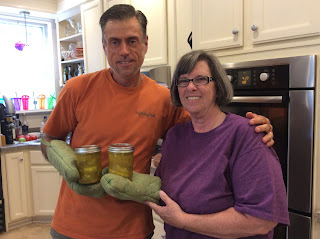 From garden to jar, we had a terrific time canning the pickles. 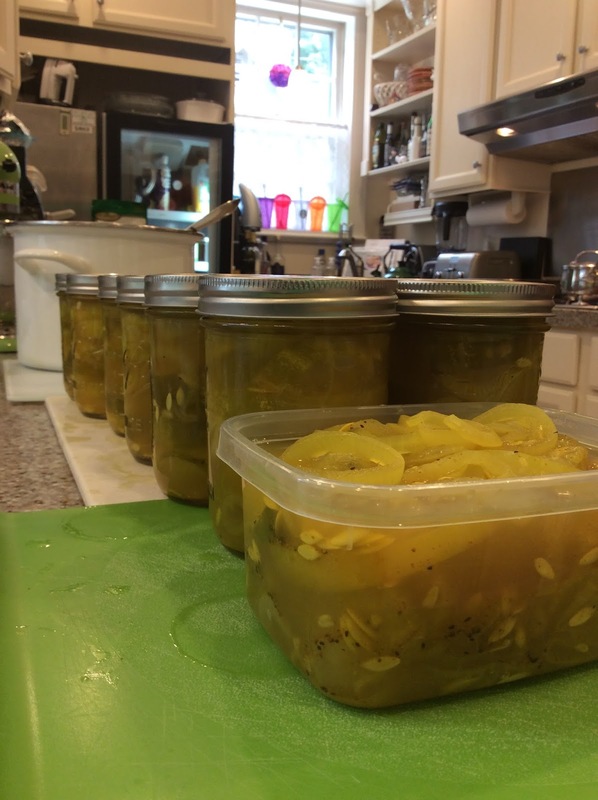 We'll be serving them throughout the year at our cook-outs and at our 5pm Social Hour, remembering our first summer's harvest here at Abbington Green Bed & Breakfast Inn. Combine the above ingredients and let them set overnight in the refrigerator, covered. Next day...drain well, do not rinse. 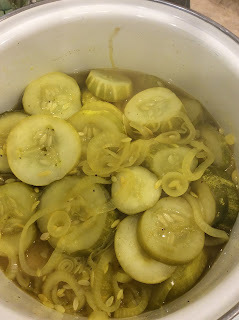 Bring to a rolling boil, add in the refrigerated mixture (pickles). 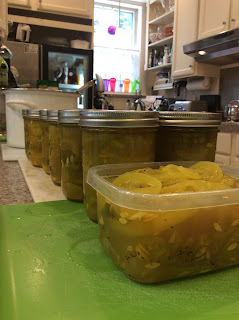 In the meantime, boil empty jars in a large pot of water. Remove and turn upside down to drain the water from them. When the pickles are good and hot (and start to boil), fill the hot jars--about 1/4 from the top with the pickle and onion mixture. Screw the lids on tightly and store upside down until ready to use. Refrigerate once opened.